Please enjoy the delightful video below showing the construction of a Japanese Ichimatsu doll. Even without the ability to read the subtitles I was moved by the process and the craftsmanship involved. Such detail! No wonder these handmade dolls, or ningyo, human forms, can be extremely expensive, especially if they were made in an earlier century. These ningyo are perfectly proportioned representations of little girls and boys, with glass eyes and beautiful skin. This skin is created by covering the clay body, which must first be molded, fired, and cooled, with layers of gofun, a paste made from powdered oyster shell and animal glue. It hardens into an incredibly smooth and white surface, which can then be worked and painted to magical effect. 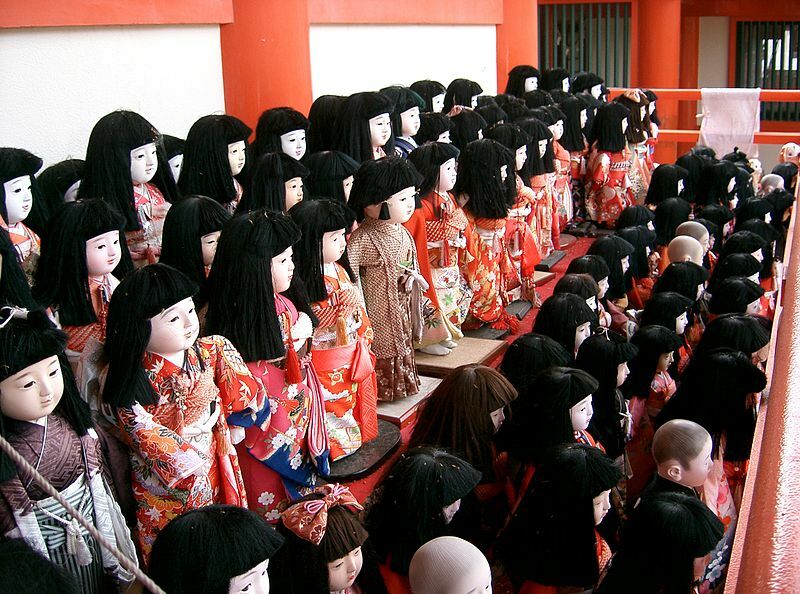 Ichimatsu dolls are not the only ningyo covered with gofun, which graces the faces and hands of many figures, from babies to townspeople, geishas, emperors and empresses. Video via shibuya246com on YouTube. Stay tuned for a photoblog featuring more ethnic dolls.